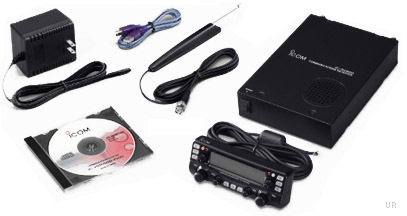 The Icom IC-R2500-05 wideband computer receiver connects externally to your PC via a USB cable. The radio can also be controlled via the supplied control head (with not all functions supported). That is right; you can operate the R2500 strictly with the supplied control head. 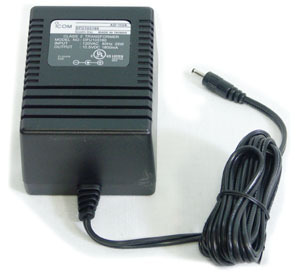 The USB port provides compatibility with many computer models, even laptops. Incredible coverage is yours with reception from 10 kHz to 3300 MHz (less cellular and minor gaps). Sub band reception is 50 to 1300 MHz (less gaps). See specifications for exact coverage. Modes of reception include AM, FM-Wide, FM-Narrow, SSB and CW. (CW and SSB from 0.5 - 1300 MHz only). Many tuning steps are available: 1Hz, 10Hz, 20Hz, 50Hz, 100Hz, 500Hz, 1kHz, 2.5kHz, 5kHz, 6.25kHz, 8.33kHz, 9kHz, 10kHz, 12.5kHz, 15kHz, 20kHz, 25kHz, 30kHz, 50kHz, 100kHz, 125kHz, 150kHz, 200kHz, 500kHz, 1MHz, 10 MHz. CTCSS and DTCSS decoding is supported. 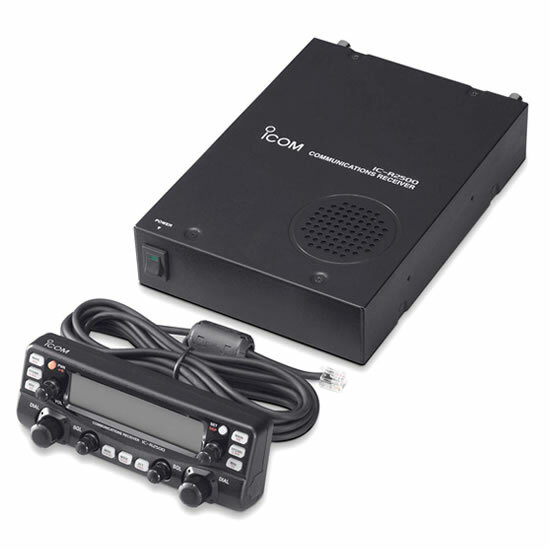 The IC-R2500 has two powerful features, previously only available in high end military receivers. These two features are dual watch and diversity reception. With dual watch, the receiver can receive two signals simultaneously. With diversity reception, two antennas can be connected at the same time and employed to provide very stable reception. (Typically, the two antennas would be separated by distance and/or be of different polarity). This updated control software and USB driver support Microsoft Windows® 7 (32/64 bit). SO-239 (UHF) to BNC male adapter. Copyright 2005-2019 Universal Radio, Inc.